Modular homes are a popular choice due to their incredible versatility. There are many ways in which you can use a modular home, aside from a primary residence. With so many customizable options, Palm Harbor Homes has many customers looking for a modular home for alternative purposes. If you are an avid hunter, you know that after a long day of hunting, nothing feels better than coming home, taking a nice hot shower, and curling up in a comfortable bed. Now you can have your home away from home with Palm Harbor Homes. Build your own custom hunting lodge that you can place on your rural property. You don’t have to lug around camping supplies, food, and additional hunting gear when you can have your own hunting lodge. Sometimes all you need you to rid yourself of pesky writer’s block is to escape to your own writer’s retreat. 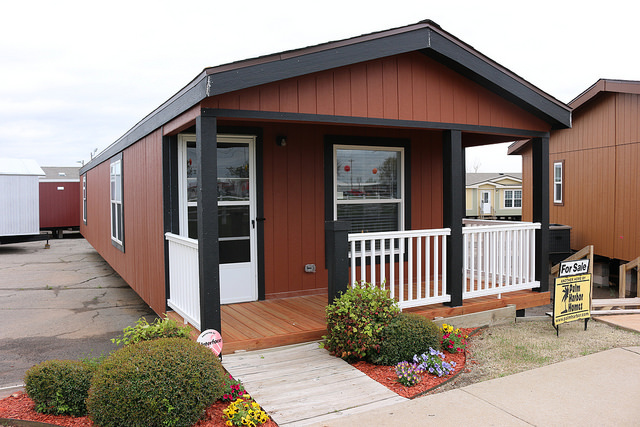 Palm Harbor Homes offers cozy move-in ready modular homes. A perfect get-away for someone looking for just a place to collect their thoughts and be inspired. With everything you need located right in your modular home, you will be sure to find your own inner Thoreau. It is always nice when you can offer guests their own space to feel at home. With a Palm Harbor Home, you have the ability to build a great space that will sure to be a big hit with visiting relatives and friends. Choose from one of the many floor plans Palm Harbor Homes offers. When you purchase a Palm Harbor Home, you are making a wise investment. It is well known that the rental market is skyrocketing, especially in the southern states. This is the perfect opportunity for you to purchase a modular home for easy rental income. With great options like AirBnB and HomeAway, you have the option for short rentals or extended leasing agreements. If you have any questions about how you can purchase a Palm Harbor Home, give us a call at 1-888-466-3718. We would be more than happy to assist you.